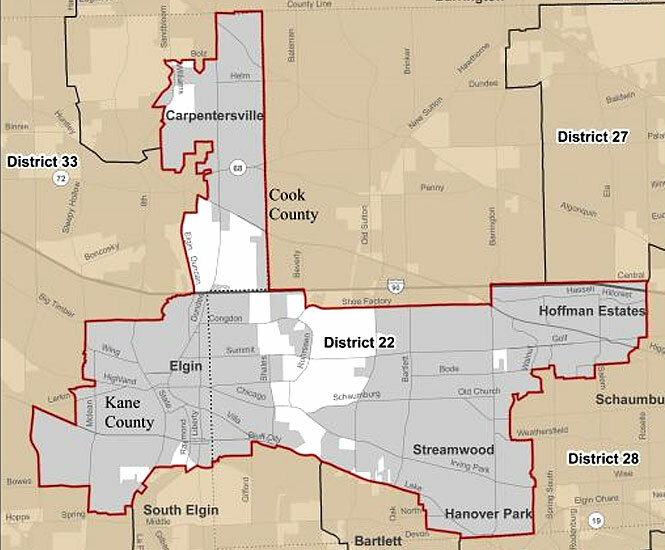 The 22nd District consists of all or part of 10 different communities, located within Cook County and Kane County. On this page, you will find links to the web sites of local governments and community organizations. If you find any problems with these links or you know of additional web sites that should be included, please do not hesitate to contact my office.